New Delhi [India], Nov 5 (ANI): Delhi Metro Rail Corporation Limited on Monday released a statement in which they informed that Delhi Metro will be functional till 10pm on the occasion of Diwali . 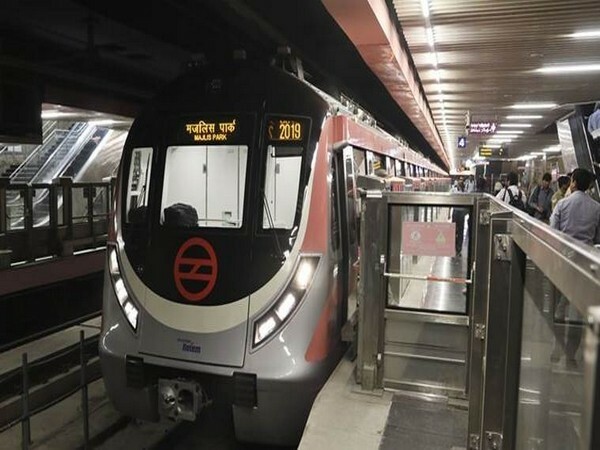 New Delhi [India], November 1 (ANI): Keeping in view the worsening air quality in National Capital Region and Delhi, the Delhi Metro Rail Network (DMRC) has introduced 21 additional numbers of trains on its network which will provide 812 additional number of trips starting from Thursday. New Delhi [India], Oct 31 (ANI): The Shiv Vihar-Trilokpuri section of Delhi Metro's Pink Line was flagged off on Wednesday by Union Minister of Housing and Urban Affairs Minister Hardeep Singh Puri and Delhi Deputy Chief Minister Manish Sisodia. New Delhi [India], Oct 24 (ANI): Commissioner for Metro Rail Safety SK Pathak on Wednesday approved the Shiv Vihar-Trilokpuri metro section of the Delhi Metro Pink Line following an inspection that was conducted on October 20. New Delhi [India], Oct 4 (ANI): One person died and five others were injured after a can containing acid fell on them, while they were passing by the Johri Enclave Metro station on Wednesday. Seoul [South Korea], Sep 12 (ANI): The Delhi Government and the Seoul Metropolitan Government are slated to sign an agreement this week for cooperation in urban regeneration. The agreement will be signed during Delhi Chief Minister Arvind Kejriwal's ongoing trip to Seoul. Lucknow (Uttar Pradesh) [India], Aug 25 (ANI): Ahead of Raksha Bandhan, the Uttar Pradesh State Road Transport Corporation (UPSRTC) will offer free services to women in its buses of all categories, including the AC buses. 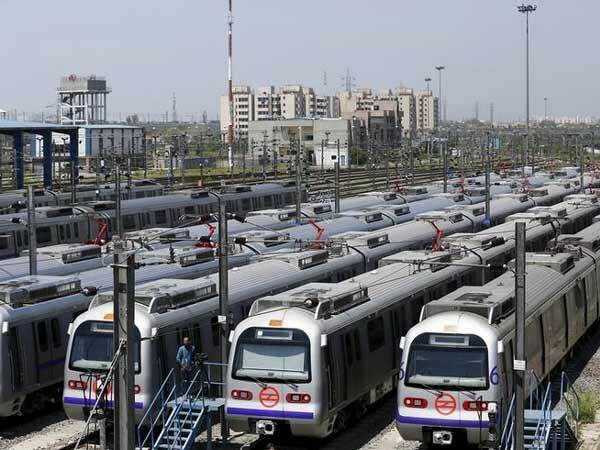 New Delhi [India], August 24 (ANI): Anticipating a higher ridership on the occasion of Raksha Bandhan, the Delhi Metro has made arrangements to run extra trips on August 25 (Saturday) and August 26 (Sunday) to facilitate the public. Noida (Uttar Pradesh) [India], Aug 13 (BusinessWire India): Good News for Home Buyers! After so much of delay and wait, finally, home buyers in Noida and Delhi NCR can invest in a project, that is being monitored by Noida Authority to ensure timely completion and payment of dues. New Delhi [India], July 12 (ANI): A man returned the wallet of a South Korean national, which he found abandoned at a Delhi metro station. Noida (Uttar Pradesh) [India], Jul 9 (ANI): Prime Minister Narendra Modi on Monday said that the new Samsung mobile factory will further strengthen the bilateral relations between India and South Korea and enhance India's economy.